Special thank you to all the forum members! Please read!! Over the past 5 years I have met a lot of great people here especially from the maxbimmer.com community!! I just wanted to thank you all once again for your continued support, encouragement, your business, and most of all, the friendships I have made along the way !! Some changes will be made here in the Maranello BMW parts dept. within the next couple of weeks . We will be appointing someone else here in the department to be answering PM's from tues-thursday. As I will now only be in the dealership on Mondays and Fridays as I will be stepping down to part time status here at Maranello BMW . The same great pricing will still be offered to all Maxbimmer.com members with the same great service, just a different face, so essentially nothing will change. 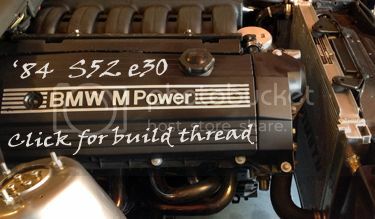 Id like to say thank you to all the maxbimmer.com members once again for your continued support and your understanding. You guys n gals rock!!!! In case if I am urgently looking for the price quotes and parts, can anyone in the parts department able to give us the maxbimmer price as well? It's been a pleasure to deal with you Mike. Always quick and pro! I even drive down there from time to time even though I live up north. Appreciate all the help over the yrs. Is the new guy starting yet ? I have yet to got a reply on my PM ? Same, but I imagine the transition period will cause some delays. I bet it cause some delay, but I sent a msg on last tues and I still havent receive any parts quotation. Could you please follow it up . Mike you are the best to deal with, I'll try and pass by Mondays and Fridays while you are still there. Thanks for your great service Mike! Thank you for everything you have done for us and still continuing to do Mike! Thanks for the great service! GL with your new endeavour! Hey Mike Thanks for your help over the years.Good Luck All the best!! !